Each of the centres is staffed by people who can provide free professional and practical advice on training and employment opportunities including careers advice, apprenticeship and training information. Support services for employers and business, as well as specialist services for Aboriginal people, ex-offenders and people from a culturally or linguistically diverse background are also available. resources and advice on Aboriginal recruitment and retention strategies. Thirteen Jobs and Skills Centres are open, located at TAFE college campuses in the Perth metropolitan area as well as regional centres. Use the interactive map below to find out more about locations and the services available at each of the centres. Use the map of WA to select a region and see where the Jobs and Skills Centres are located, then select a centre to find out more about the services it offers. Outreach services are also available for regional areas, where there is a Jobs and Skills Centre. Please see the individual regional JSC pages for further information about these services. Jobs and Skills Centres will be opening progressively in regional areas of Western Australia throughout 2018–19. 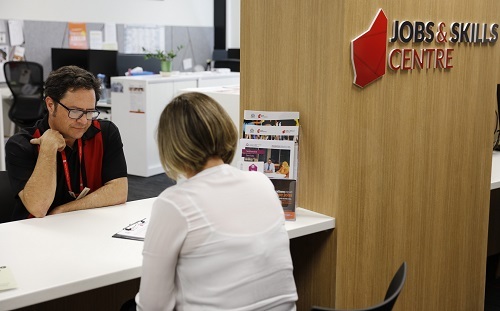 Specialist career, training and jobseeker support, as well as specialist services for Aboriginal people and employers, will continue to be available in the meantime through regional Career Centres and Aboriginal Workforce Development Centres. To find out more about the services for regional areas, please visit the Career exploration page or the Aboriginal services page, or you can contact the regional service providers directly. To assist and support Western Australian jobseekers to find employment, and assist employers to attract and recruit employees, Jobs and Skills Centres work closely with employers, business owners and industry across Western Australia to find employment opportunities, and also with the Australian Apprenticeship Support Network providers to promote apprenticeship and traineeship opportunities. There is also a jobs board with employment opportunities for Aboriginal people.